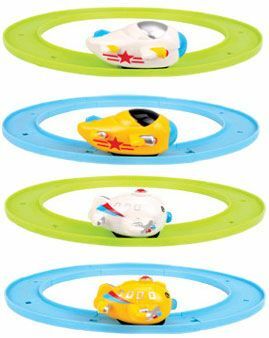 These little clockwork planes run on the clip together track provided or will taxi along on their own. Colours and design vary. Plane is 4.5cm (1.75") long.